Plus: Turkmenistan neutrality, Kyrgyz-Chinese interactions and more. Central Asia links. Former Guantanamo detainees exiled to Kazakhstan: Vice published an excellent investigative report and short documentary on the handful of former Guantanamo detainees exiled to Kazakhstan. None of the five men released from the notorious prison in December and sent to Kazakhstan, are Kazakh (four remain, one died in May of kidney failure). 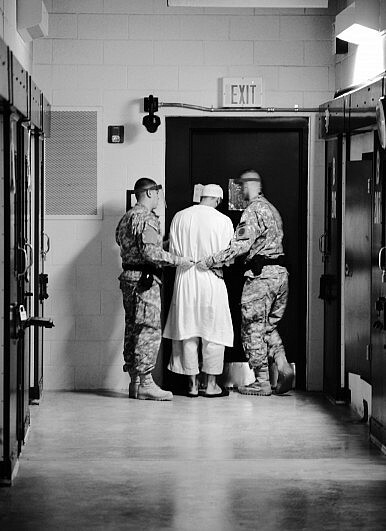 While President Obama pledged to close Guantanamo, it has proven a tremendously difficult task. Many countries are not interested in taking back men imprisoned there, accused–though for many never tried or convicted–of involvement in terrorism. Revisions To Turkmenistan’s Neutrality Policy: Over at Qishloq Ovozi, RFE/RL’s Bruce Pannier takes stock of Turkmenistan’s nearly 20-year-old “positive neutrality” policy. Pannier notes that regional and global events have caused Ashgabat to revise its strategy. In two arenas–security and energy–Turkmenistan can no longer rely on old ways of conducting relations. With regard to security, Pannier points to the deteriorating security situation in northern Afghanistan as particularly worrisome for Turkmenistan. After independence, “Turkmenistan gave cursory attention to its military, relying on “positive neutrality” to shield the country from potential external threats.” Earlier this year Turkmenistan expressed interested in US assistance–at least equipment–showing a shift in ways the country defines its neutrality. Lastly, a longer read–but well worth the time–from Registan’s Noah Tucker. In a report commissioned by USAID, Tucker dove deep into the circumstances that drive Central Asians to join ISIS and the range of regional responses to this phenomenon. While the policy paper was finished in May–it remains just as relevant, nuanced, and necessary today.